The countdown to Cersaie 2018 has begun. Just one month before the start of the most important meeting for the ceramic sector worldwide, the ITT Ceramic team is working hard to finalize the whole range of new products prepared specifically for the occasion. Cersaie, which will hold its 35th edition from 24 to 28 September, will bring together more than 110,000 visitors from all over the world in the Italian city of Bologna, eager to learn about the latest trends in contemporary architecture and decoration, and ITT Ceramic will be present at the event with the main objective of presenting a comprehensive range of floor and wall coverings that will not go unnoticed. With regard to Cersaie, the Saniceramic Group company has designed several collections of porcelain, technical porcelain, white porcelain, red body, red body and stoneware that will surely surprise you with their careful aesthetics and exceptional technical properties. Of course, the ITT Ceramic space at the BolognaFiere (Hall 19, Stand B49) will also showcase the new models of Arklam Super Size, the large-format sintered ceramic that is becoming a benchmark in the market for the most demanding and exclusive projects. And all this will be exhibited in a fully functional stand with a significant visual impact in which visitors will be able to see in detail the innovative proposals that the Spanish brand has shaped in recent months. 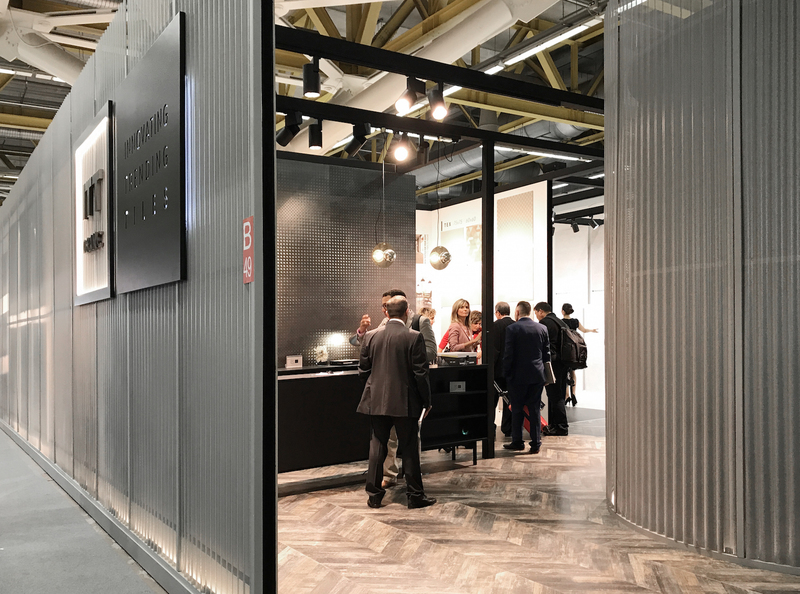 Without a doubt, Cersaie, with its more than 156,000 square metres of surface area and its 18 pavilions, is today one of the world’s leading showcases for inspiring all kinds of architectural, decorative and interior design projects. This is an event that, for more than three decades, has been strongly disseminating the most avant-garde ceramic solutions, thus contributing to bringing greater prestige to the ceramic sector as a whole. ITT Ceramic will be waiting for you in hall 19, stand B49 to show you innovative and original proposals that take ceramics to another level.